A report by the International Energy Agency into worldwide solar power growth shows that PV solar power grew faster than any other source of energy for the first time in 2016. The figures suggest that renewables will dominate the coming years and we can expect 2017 to follow suit – with China accounting for almost 50% of PV solar plants. The International Energy Agency, which was set up after the 1973 oil crisis, has released figures which show that 165GW of renewable energy was completed in 2016 – almost 2/3 the net expansion in all electricity supply. Of this 165GW, PV solar power grey by 50%. The Executive Director of the International Energy Agency (IEA), Fatih Birol, said in a statement that this is the “birth of a new era (in solar power)”. 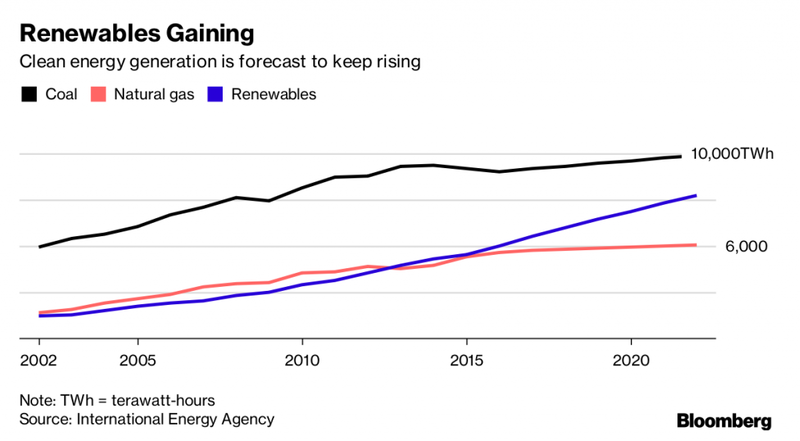 “We expect that solar PV capacity growth will be higher than any other renewable technology through 2022,” Birol wrote. The report predicts that around 1,000GW of renewables will be installed in the next five years – which would be enough to power China, Germany, and India combined. Solar Power in China has been growing at a rapid rate over the past few years due to government support for renewables and an increasing desire to end their reliance on coal which has led to serious issues with air pollution and environmental degradation, country-wide. China installed so much solar in 2016 that it almost made up for 50% of the global market – almost 35GW compared to its closest rival, the USA with 15GW, bringing China’s total PV capacity to over 77.4GW. This makes China the world’s largest market for both photovoltaics and solar thermal energy. In addition to this, China has been the world’s leading installer of PV solar since 2013 and there are over 400 solar companies located there. ← Relectrify: Recycled EV batteries for home storage.